This article contains paid contributions. It may require cleanup to comply with Wikipedia's content policies, particularly neutral point of view. Please discuss further on the talk page. For the school in Ramsgate, see Chatham House Grammar School. For the mansion in Virginia, USA, see Chatham Manor. The Royal Institute of International Affairs, commonly known as Chatham House, is a not-for-profit and non-governmental organisation based in London whose mission is to analyse and promote the understanding of major international issues and current affairs. It is the originator of the Chatham House Rule and takes its name from the building where it is based, a Grade I listed 18th-century house in St James's Square, designed in part by Henry Flitcroft and occupied by three British Prime Ministers, including William Pitt, 1st Earl of Chatham. In the University of Pennsylvania’s rankings (announced in January 2017) for their Global Go To Think Tanks Report, Chatham House was ranked the think tank of the year, and the second most influential in the world after the Brookings Institution, and the world's most influential non-U.S. think tank. In November 2016, Chatham House was also named Prospect magazine's Think-Tank of the Year, as well as the winner in the UK categories for International Affairs and Energy and Environment. The current chairman of the Council of Chatham House is Jim O'Neill and its director is Robin Niblett. The deputy director is Adam Ward and research directors are Rob Bailey, Patricia Lewis, and Alex Vines. Chatham House has three presidents — from the two main political parties at Westminster: Sir John Major, former Prime Minister (Con. ); The Baron Darling of Roulanish, former Chancellor of the Exchequer (Lab. ); and The Baroness Manningham-Buller, a crossbench peer and former Director General of MI5. Drawing upon its members, Chatham House aims to promote debate on significant developments in international affairs and policy responses. Their independent research and analysis on global, regional and country-specific challenges is intended to offer new ideas to decision makers on how these could best be tackled from the near to the long term. Chatham House is routinely used as a source of information for media organisations seeking background or experts upon matters involving major international issues. Chatham House is membership-based and anyone may join. It has a range of membership options for corporations, academic institutions, NGOs, and individuals including students and under 35s. In addition to corporate members consisting of government departments, large corporations, academic institutions, investment banks, NGOs, energy companies and other organisations, Chatham House currently has international leaders from business, diplomacy, science, politics and media as its individual members. Chatham House is the origin of the non-attribution rule known as the Chatham House Rule, which provides that guests attending a meeting may discuss the content of the meeting in the outside world, but may not discuss who attended or identify what a specific individual said. The Chatham House Rule evolved to facilitate frank and honest discussion on controversial or unpopular issues by speakers who may not have otherwise had the appropriate forum to speak freely. Despite this, most meetings at Chatham House are held on the record, and not under the Chatham House Rule. Chatham House research is structured around three thematic departments - Energy, Environment and Resources, International Economics, International Security – and Area Studies and International Law, which comprises regional programmes on Africa, the US and Americas, Asia-Pacific, Europe, the Middle East and North Africa, and Russia and Eurasia, as well as the International Law programme. Chatham House also contains the Centre on Global Health Security, headed by David L. Heymann. and the Hoffmann Centre, headed by Bernice Lee. Major reports in 2018 include Transatlantic Relations: Converging or Diverging? which argued that the longer-term fundamentals of the transatlantic relationship remain strong. Several reports were published in 2017 – The Struggle for Ukraine explored how, four years on from its Euromaidan revolution, Ukraine is fighting for survival as an independent and viable state. Chokepoints and Vulnerabilities in Global Food Trade set out why policymakers must take action immediately to mitigate the risk of severe disruption at certain ports, maritime straits, and inland transport routes, which could have devastating knock-on effects for global food security. Collective Action on Corruption in Nigeria: A Social Norms Approach to Connecting Society and Institutions examined how anti-corruption efforts could be made significantly more effective through new ways of understanding why people engage in the practice. America’s International Role Under Donald Trump explored how Trump's personality and style – brash, unpredictable, contradictory and thin-skinned – promises to have a meaningful impact on his engagement in foreign affairs. In 2016, Elite Perceptions of the United States in Latin America and the Post-Soviet States examined how elites in Latin America and the former Soviet Union view the United States, and makes recommendations as to how the US could adjust its policies based on these perceptions. 2015 also saw several reports published - Nigeria’s Booming Borders: The Drivers and Consequences of Unrecorded Trade showed how a critical opportunity exists to formalize trade and drive more sustainable and less volatile growth, Changing Climate, Changing Diets: Pathways to Lower Meat Consumption outlined why reducing global meat consumption will be critical to keeping global warming below the ‘danger level’ of two degrees Celsius, Heat, Light and Power for Refugees: Saving Lives, Reducing Costs examined the reasons why energy provision to displaced people undermines the fundamental humanitarian aims of assistance, and Towards a New Global Business Model for Antibiotics: Delinking Revenues from Sales argued for revenues for pharmaceutical companies to be delinked from sales of antibiotics to avoid their over-use and avert a public health crisis. Chatham House published the research paper Livestock – Climate Change’s Forgotten Sector: Global Public Opinion on Meat and Dairy Consumption in December 2014. It argued that there was a major lack of public awareness of the link between climate change and human consumption of meat and dairy products. Released in July 2014, NATO: Charting the Way Forward suggested future priorities for NATO in the light of world events, especially considering Afghanistan and Ukraine. The report was the culmination of a year of expert roundtable meetings, in preparation for NATO's 2014 summit in Wales. Declared the #2 Report of 2014 in the University of Pennsylvania’s 2014 Global Go To Think Tanks Report, How to Fix the Euro: Strengthening Economic Governance in Europe was produced in March 2014, in conjunction with the Real Instituto Elcano and the Agenzia di ricerche e legislazione. It examined why the economic and monetary union (EMU) was so badly affected by the global economic and financial crisis, and assessed whether further changes needed to be made to the structure of economic governance underpinning it. Western Policy towards Syria: Ten Recommendations was published in December 2013. This programme paper sought to inform a more strategic approach to the overall Western response to the crisis in Syria and its immediate neighbourhood, and to that end produced a list of 10 strategic recommendations for Western governments. The November 2013 report Conflict and Coexistence in the Extractive Industries examined disputes between governments and companies over mineral resources and how falling commodity prices, plus heightened concerns over resource security, environmental degradation and climate change, could bring further scrutiny and tensions to the sector. Chatham House released the report Managing Famine Risk in April 2013 which argued that while early warning systems for famine and food crises had a good record, early action had been heavily hindered by the perceived political risk in donor countries. In December 2012, Chatham House released Resources Futures, a report on resource insecurity and the potential for future supply disruptions, volatile prices, accelerated environmental degradation and rising political tensions over resource access. The report proposed a new 'G8-style' group of critical producers and consumers called the 'Resource 30' or R30 to tackle resource price volatility. In May 2012, Chatham House published the report Shifting Capital: The Rise of Financial Centres in Greater China. The report argued that China needs to develop a deeper and more diversified financial sector that reflects the size and the international integration of its real economy. To assess what contribution, if any, gold could make to the international monetary system in the wake of the global financial crisis, Chatham House set up a global taskforce of experts in 2011. In February 2012, the taskforce released the report Gold and the International Monetary System which concluded that although a gold standard may have limited reckless banking and debt accumulation, it likely would have created excessive constraint on national economic policies where more flexible responses were needed. In September 2011 Chatham House published a report examining support for populist extremists across Europe and recommending how mainstream political parties could respond. Right Response: Understanding and Countering Populist Extremism in Europe, by Matthew Goodwin, noted that extreme parties more effectively exchange ideas and strategies as compared to mainstream parties, and recommended established parties work together on best practice to confront this challenge. In October 2010 Chatham House published a report entitled Strategy in Austerity: The Security and Defence of the United Kingdom. The report offered a framework for assessing the quality and durability of the British government's Strategic Defence and Security Review. Briefing Papers were also published on Iraq, Yemen, Cyber-Warfare, and the legal implications of unmanned drones (UAVs) amongst others. In September 2010 Chatham House produced the report The ‘Shale Gas Revolution’: Hype and Reality, by Paul Stevens, which analysed the huge increase in unconventional gas production in the US. The report cast serious doubts over the industry's confidence in the ‘revolution’ and whether conditions in the US could be replicated. It received a Special Note in the Publication of the Year category at the Prospect Think Tank Awards 2011. A Chatham House analysis of the June 2009 Iranian presidential election voting figures by Ali Ansari, Daniel Berman and Thomas Rintoul revealed irregularities in the official statistics that contradicted the official government line that a spate of newly participating voters had pushed President Mahmoud Ahmadinejad to victory. This report was widely cited by major media outlets, including The New York Times, BBC, The Guardian, The Telegraph, The Wall Street Journal, and the Financial Times. In addition to undertaking wide-ranging research, Chatham House hosts high-profile speakers from around the world. Recent speakers include Shinzō Abe, David Cameron, Aung San Suu Kyi, Christine Lagarde, Madeleine Albright, Ellen Johnson Sirleaf, Abdullah Gül, Anders Fogh Rasmussen, Herman Van Rompuy, Muhammad Yunus, Ban Ki-moon and on 26 February 2015, Muhammadu Buhari, presidential candidate of All Progressive Congress, Nigeria, spoke on the prospects of democratic consolidation in Africa : Nigeria's transition. Chatham House also houses the key scholarly and policy journal International Affairs, as well as a bi-monthly magazine The World Today. The World Today is represented for syndication by Tribune Content Agency, a subsidiary of The Tribune Company. Hillary Clinton, recipient of the 2013 Chatham House Prize. The Chatham House Prize is an annual award presented to "the statesperson or organisation deemed by Chatham House members to have made the most significant contribution to the improvement of international relations in the previous year". The Royal Institute of International Affairs finds its origins in a meeting, convened by Lionel Curtis, of the American and British delegates to the Paris Peace Conference on 30 May 1919. Curtis had long been an advocate for the scientific study of international affairs and, following the beneficial exchange of information after the peace conference, argued that the method of expert analysis and debate should be continued when the delegates returned home in the form of international institute. 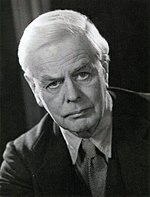 Lionel Curtis was instrumental in the founding of Chatham House. Ultimately, the British and American delegates formed separate institutes, with the Americans developing the Council on Foreign Relations in New York. "That an Institute be constituted for the study of International Questions, to be called the British Institute of International Affairs." These two, along with Arthur J. Balfour and John R. Clynes, became the first Presidents of the Institute, with Curtis and G. M. Gathorne–Hardy appointed joint Honorary Secretaries. By 1922, as the Institute's membership grew, there was a need for a larger and more practical space and the Institute acquired, through the gift of Canadian Colonel R. W. Leonard, Chatham House, Number 10 St. James's Square, where the Institute is still housed. Following its inception, the Institute quickly focused upon Grey's resolution, with the 1920s proving an active decade at Chatham House. The journal, International Affairs, was launched in January 1922, allowing for the international circulation of the various reports and discussions which took place within the Institute. In 1926, 14 members of Chatham House represented the United Kingdom at the first conference of the Institute of Pacific Relations, a forum dedicated to the discussion of problems and relations between Pacific nations. The IPR served as a platform for the Institute to develop an advanced political and commercial awareness of the region, with special focus being place upon China's economic development and international relations. 1929 marked the next stage in the Institute's development with the appointment of a full-time chief executive or director when Ivison Macadam was appointed to the position (Secretary and then Director-General)  where he oversaw the Institute's rapid expansion with its growing research, organisational and financial needs. A role he occupied until 1955. Macadam was able to secure funding to expand the physical plant of the Institute by acquiring the freeholds of 6 Duke of York Street, then called York Street, (largely though the generosity of Waldorf Astor, John Power and others) and later 9 St James's Square, then the Portland Club, in 1943 (through a donation to cover its purchase by Henry Price), and connect these adjoining properties to the original freehold property of Chatham House at 10, St James Square (with the cost of these connections covered by Astor's sons, William, David and John). Power also donated his leasehold property in Chesham Place to the Institute in 1938. These additional properties provided much needed additional space for the Institute's activities. 1929 also saw the inception of the Institute's special study group on the international gold problem. The group, which included leading economists such as John Maynard Keynes, conducted a three-year study into the developing economic issues which the post-war international monetary settlement created. The group's research anticipated Britain's decision to abandon the gold standard two years later. Around this time Chatham House became known as the place for leading statesmen and actors in world affairs to visit when in London; notably, Mahatma Gandhi visited the institute on 20 October 1931, in which he delivered a talk on ‘The Future of India’. The talk was attended by 750 members making it the Institute's largest meeting up to that point. Committee of Post-War Reconstruction meeting in the Institute's Common Room, 1943. In 1933 Norman Angell, whilst working within the Institute's Council, was awarded the Nobel Peace Prize for his book The Great Illusion, making him the first and only Laureate to be awarded the prize for publishing a book. Chatham House held the first Commonwealth Relations Conference in Toronto, Ontario, Canada in 1933. Held roughly every five years, the conference provided a forum for leading politicians, lawyers, academics and others to discuss the implications of recent Imperial Conferences. With various dominion nations seeking to follow individual foreign policy aims, Neill Malcolm, the chairman of the Canadian Institute for International Affairs, emphasised the need for "essential agreement in matters of foreign policy between the various Governments," with the Commonwealth Relations Conference being the vehicle upon which this cooperation would be achieved and maintained. In 1937, Robert Cecil was also awarded the Nobel Prize for his commitment to, and defence of, the League of Nations and the pursuit for peace and disarmament amongst its members. The outbreak of WWII led the Chairman Bill Astor to decentralise the Institute, with the majority of staff moving to Balliol College, Oxford. Throughout the war years the Institute worked closely with the Foreign Office who requested various reports on foreign press, historical and political background of the enemy and various other topics. The few who remained in London were either drafted into various government departments or worked under Toynbee, dedicating their research to the war effort. The Institute also provided many additional services to scholars and the armed forces. Research facilities were opened to refugee and allied academics, whilst arrangements were made for both the National Institute of Economic and Social Research and the Polish Research Centre to relocate to the Institute following the bombing of their premises. In addition, allied officers undertook courses in international affairs at the Institute in an attempt to develop their international and political awareness. Chatham House had been researching potential post-war issues as early as 1939 through the Committee on Reconstruction. Whilst a number of staff returned to the Institute at the end of the war, a proportion of members found themselves joining a range of international organisations, including the United Nations and the International Monetary Fund. Combining this with the Institute's early support of the League of Nations and impact of the gold study on the Bretton Woods system, Chatham House found itself to be a leading actor in international political and economic redevelopment. Margaret Thatcher leaving Chatham House after attending the 'Inside Saudi Arabia: Society, Economy and Defence' conference, October 1993. In reaction to the changing post-war world, Chatham House embarked on a number of studies relating to Britain and the Commonwealth's new political stature, in light of growing calls for decolonisation and the development of the Cold War. A board of studies in race relations was created in 1953, allowing for the close examination of changing attitudes and calls for racial equality throughout the world. The group broke off into an independent charity in 1958, forming the Institute of Race Relations. Following the Cuban missile crisis and Brazilian coup d'état, the institute developed a growing focus on the Latin American region. Che Guevara, then Cuba's Minister of Industry, wrote an analysis of ‘The Cuban Economy: Its Past and Present Importance’ in 1964 for International Affairs, displaying the Institute's desire to tackle the most difficult international issues. Chatham House played a more direct role in the international affairs of the Cold War through the October 1975 Anglo-Soviet round-table, the first in a series of meetings between Chatham House and the Institute of World Economy and International Relations in Moscow. As an early example of two-track diplomacy, the meeting sought to develop closer communication and improved relations between Britain and the Soviet Union, one of the first such attempts in the Cold War. Soon after the first Anglo-Soviet round-table, the Institute began an intensive research project into ‘British Foreign Policy to 1985’. Its primary aim was to analyse the foreign policy issues which Britain would encounter in the near and far future. Research began in 1976 and the findings were published in International Affairs between 1977 and 1979. At the start of the 1980s, the Council moved to expand the Institute's research capabilities in two key emerging areas. The first modern programmes to be created under this initiative were the Energy and Research Programme and the International Economics Programme, formed in 1980 - 1981. In addition to reshaping its research practices, the Institute also sought to strengthen its international network, notably amongst economically prosperous nations. For example, Chatham House's Far East programme, created with the intention of improving Anglo-Japanese relations in the long and short term, was bolstered by the support of the Japan 2000 group in 1984. Nelson Mandela delivering a speech at the Chatham House conference 'South Africa: The Opportunity for Business', 10 July 1996. The Institute celebrated its 75th anniversary in 1995, an event marked by the visit of Queen Elizabeth II and Prince Philip, Duke of Edinburgh. During her visit, The Queen was briefed by the Institute's experts on South Africa in preparation for her impending visit to the country following the end of apartheid. The year 1998 marked the creation of the Angola Forum. Combining the nation's oil reserves with its growing international ambition, Angola quickly became an influential African nation. As a result, Chatham House launched the Forum to create an international platform for ‘forward looking, policy focused and influential debate and research'. The Institute’s wider Africa Programme was created in 2002, beginning the modern structure of area studies programmes. In 2005, "Security, Terrorism and the UK" was published. The publication, which links the UK's participation in the Iraq War and the nation's exposure to terrorism, gained significant media attention. The Chatham House Prize was also launched in 2005, recognising state actors who made a significant contribution to international relations the previous year. Queen Elizabeth II presented the debut award to Ukrainian President Victor Yushchenko. In January 2013 the Institute announced its Academy for Leadership in International Affairs, offering potential and established world leaders a 12-month fellowship at the institution with the aim of providing ‘a unique programme of activities and training to develop a new generation of leaders in international affairs.’ In November 2014, The Queen, accompanied by Prince Philip, Duke of Edinburgh, once again visited and formally launched the Academy under the title of the Queen Elizabeth II Academy for Leadership in International Affairs. ^ "2017 Think Tank Rankings - Cheat Sheet". www.thinktankwatch.com. Retrieved 5 January 2018. ^ Team, Prospect. "Think Tank Awards 2016: the winners". Retrieved 5 January 2018. ^ "Patron and Presidents". Chatham House. Retrieved 5 January 2018. ^ "Become a member". Chatham House. ^ "Professor David L. Heymann - expert profile on Chatham House website". ^ "Bernice Lee OBE - expert profile on Chatham House website". ^ Wickett, X. (January 2018). "Transatlantic Relations: Converging or Diverging?". Chathamhouse.org. ^ Lutsevych, O.; et al. (October 2017). "The Struggle for Ukraine". Chathamhouse.org. ^ Wickett, X.; et al. (January 2017). "America's International Role Under Donald Trump". Chathamhouse.org. ^ Parakilas, J. (September 2016). "Elite Perceptions of the United States in Latin America and the Post-Soviet States". Chathamhouse.org. ^ Wellesley, L.; et al. (November 2015). "Changing Climate, Changing Diets: Pathways to Lower Meat Consumption". Chathamhouse.org. ^ Clift, C.; et al. (October 2015). "Towards a New Global Business Model for Antibiotics: Delinking Revenues from Sales". Chathamhouse.org. ^ Bailey, R.; et al. (December 2014). "Livestock – Climate Change's Forgotten Sector: Global Public Opinion on Meat and Dairy Consumption". Chathamhouse.org. ^ Wickett, X.; et al. (July 2014). "NATO: Charting the Way Forward". Chathamhouse.org. ^ Pickford, S.; et al. (March 2014). "How to Fix the Euro: Strengthening Economic Governance in Europe". Chathamhouse.org. ^ Spencer, C.; et al. (December 2013). "Western Policy towards Syria: Ten Recommendations". Chathamhouse.org. ^ "Commodity disputes likely to increase" Archived 21 February 2014 at the Wayback Machine. CNBC (2013-11-28). Retrieved 2014-02-03. ^ Kinver, Mark (2013-04-05). "Chatham House report: Famine risks are badly managed". BBC News. Retrieved 2013-06-26. ^ Harding, Robin (2012-12-10). "Nationalism threat to resource prices". Financial Times. Retrieved 2012-12-19. ^ Bawden, Tom (2012-12-10). "Pressure on dwindling resources 'threatens global chaos'". The Independent. Retrieved 2012-12-19. ^ Bromby, Robin (2012-12-13). "Talkfest won't tackle the big issues". The Australian. Retrieved 2012-12-19. ^ Subacchi, P.; et al. (May 2012). "Shifting Capital: The Rise of Financial Centres in Greater China" (PDF). Chathamhouse.org. ^ "Gold and the International Monetary System" (PDF). Chatham House Gold Taskforce. Chathamhouse.org. February 2012. ^ Goodwin, Matthew (September 2011). "Right Response: Understanding and Countering Populist Extremism in Europe" (PDF). Chathamhouse.org. ^ Cornish, P (October 2010). "Strategy in Austerity, The Security and Defence of the United Kingdom" (PDF). Chathamhouse.org. ^ Stevens, P. (September 2010). "The 'Shale Gas Revolution': Hype and Reality" (PDF). Chathamhouse.org. ^ "Prospect Magazine Think Tank Awards 2011". on think tanks. 11 October 2011. Retrieved 4 August 2014. ^ Ansari, A.; Berman, D.; Rintoul, T. (June 2009). "Preliminary Analysis of the Voting Figures in Iran's 2009 Presidential Election" (PDF). Chathamhouse.org. Archived from the original (PDF) on 5 October 2011. Retrieved 30 August 2012. ^ Editors, The. "Answering Your Iran Questions". nytimes.com. ^ Reynolds, Paul (23 June 2009). "Middle East | Iran: Where did all the votes come from?". BBC News. Retrieved 4 August 2014. ^ "Magic numbers | Ali Ansari | Comment is free". The Guardian. Retrieved 4 August 2014. ^ McElroy, Damien (22 June 2009). "Mousavi urges more protests as Iran's hardline leadership arrests opposition member's family". Telegraph. Retrieved 4 August 2014. ^ Farnaz Fassihi (23 June 2009). "Heavy Security Reins In Iranian Protests". WSJ. ^ Blitz, James (21 June 2009). "Tensions deepen as UK rebuffs Tehran claims". FT.com. Retrieved 4 August 2014. ^ TheatreSmart; et al. (September 2016). "Chatham House Membership Review". TheatreSmart.com. ^ a b c d e f "Chatham House Prize". Chatham House. Retrieved 12 November 2013. ^ "Lula: Brazil's Olympic Champion". Latinbusinesschronicle.com. 6 October 2009. Archived from the original on 28 November 2010. Retrieved 5 June 2010. ^ "Gül winner of prestigious Chatham House award". Todayszaman.com. 20 March 2010. Archived from the original on 16 October 2012. Retrieved 5 Jun 2010. ^ "Winner of prestigious Chatham House award 2011". chathamhouse.org. 2 December 2011. Retrieved 2 December 2011. ^ "Hillary Clinton voted Chatham House Prize winner" (Press release). Chatham House. 28 August 2013. ^ "Winner of prestigious Chatham House award 2014". 21 November 2014. Retrieved 6 February 2015. ^ "Médecins Sans Frontières (MSF) Awarded 2015 Chatham House Prize". 22 June 2015. ^ a b "John Kerry and Mohammad Javad Zarif named winners of the Chatham House Prize 2016". Chatham House. 24 October 2016. Retrieved 25 October 2016. ^ "President Juan Manuel Santos named winner of the Chatham House Prize 2017". chathamhouse.org. ^ 'Report of the Council of the Royal Institute of International Affairs to the 7th AGM' in The Royal Institute of International Affairs Annual Reports 1926-1931, (London: Chatham House, 1931), p. 3. ^ 'Report of the Council of the Royal Institute of International Affairs to the 7th AGM' in The Royal Institute of International Affairs Annual Reports 1926-1931, (London: Chatham House, 1931), p. 11. ^ 'Report of the 11th AGM' in Annual Reports 1926-1931, p. 31. ^ 'Report of the 11th AGM' in Annual Reports 1926-1931, pp. 5 - 6. ^ Chatham House: Its History and Inhabitants, C. E. Carrington, Revised and updated by Mary Bone, The Royal Institute of International Affairs, 2004. ^ The Institute then owned the freeholds covering a rectangle of properties fronting on 10 and 9 in St. James’s Square on the south running north bordered on the east by Duke of York Street to the properties on Ormand Yard on the north (the mews immediately south of Jermyn Street). These freehold properties also later proved to be a valuable financial asset when in the 1960s the northern properties were redeveloped to provide additional annual income for the Institute. Chatham House: Its History and Inhabitants, C. E. Carrington, Revised and updated by Mary Bone, The Royal Institute of International Affairs, 2004. ^ "The International Gold Problem, 1931-2011". Retrieved 27 January 2014. ^ Kisch, C. H. "The Gold Problem" (PDF). Chatham House. Archived from the original (PDF) on 26 June 2013. Retrieved 31 January 2014. ^ a b "Sir Norman Angell - Facts". Nobelprize.org. 7 October 1967. Retrieved 4 August 2014. ^ McIntyre, W. David (2008). "The Unofficial Commonwealth Relations Conferences, 1933–59: Precursors of the Tri-sector Commonwealth". Journal of Imperial and Commonwealth History. 36 (4): 591–614. doi:10.1080/03086530802560992. ^ 'Report of the 13th AGM' in The Royal Institute of International Affairs Annual Reports 1931-1932, pp. 9-10. ^ "Robert Cecil - Facts". Nobelprize.org. 24 November 1958. Retrieved 4 August 2014. ^ Julius, Dr. DeAnne. "Impartial and International" (PDF). Chatham House. Archived from the original (PDF) on 18 October 2012. Retrieved 24 January 2014. ^ "About | Institute of Race Relations". Irr.org.uk. Retrieved 4 August 2014. ^ The Royal Institute of International Affairs Annual Reports, 1964-1965, p. 3. ^ The Royal Institute of International Affairs Annual Reports, 1975-1976, p. 3. ^ The Royal Institute of International Affairs Annual Reports, 1980–1981, p. 9. ^ The Royal Institute of International Affairs Annual Reports, 1984-1985, p. 7. ^ "Angola Forum". Chatham House. ^ "Africa Programme". Chatham House. ^ "International Security Department". Chatham House. ^ "Impartial and International" (PDF). Chathamhouse.org. Archived from the original (PDF) on 18 October 2012. Retrieved 3 February 2014. ^ "Academy for Leadership in International Affairs". Chatham House. Retrieved 4 August 2014. Carrington, Charles (2004). Chatham House: Its History and Inhabitants. Chatham House. ISBN 1-86203-154-1. Wikimedia Commons has media related to Chatham House. Charity Commission. The Royal Institute of International Affairs, registered charity no. 208223. Conference papers, research memoranda and miscellaneous papers relating to the work of the Far East Department of the Royal Institute of International Affairs are held by SOAS Archives.